In early 1945, when it became apparent that World War II in Europe would soon be over the leaders of the Allied nations, Winston Churchill (Great Britain), Franklin Roosevelt (U.S.A) and Joseph Stalin (USSR) met to discuss the issues and strategies for Europe and the world after the end of the war at the Yalta Conference. 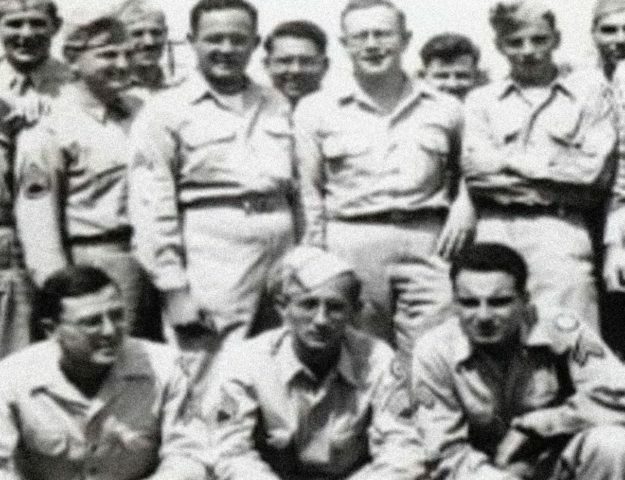 The men, commonly dubbed "Big Three" had previously met in 1943 for the Tehran Conference. For this meeting they needed a neutral location, Roosevelt's suggestion was that they meet somewhere in the Mediterranean to which Churchill agreed but Stalin refused saying hat his doctors advised him against taking any long trips. Stalin's request. Stalin was in the best position, the Red Army was just 40 miles (64 kilometers) from Berlin, and the conference was on his territory as well. If that wasn't enough of an advantage for Stalin, Roosevelt's heart was failing and Britain had at that point become much less relevant to the war compared to the U.S. and the USSR. The Yalta Conference began on February 4, 1945. Each of the leaders coming to Yalta had an agenda. Roosevelt wanted USSR's support in the war with Japan, Churchill wanted free elections for the Soviet-liberated countries in Eastern Europe. Unfortunately for Churchill, Stalin wanted the Soviets to influence and control those countries, to prevent possible future threats emerging from them. These were just the long-term issues that they had to deal with, there was a more pressing matter that would need attention during the following years, that was the control over postwar Germany. 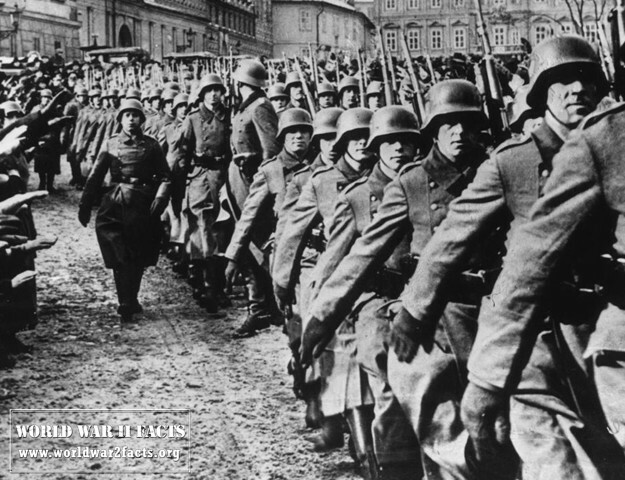 When the Yalta Conference began Stalin wanted to address the issue of Poland first, he reasoned that Poland has been used not once but twice in the 30 years before for invasion purposes and also made it clear that the USSR wouldn't return the land they had annexed from Poland, he suggested compensating the Poles with land taken from Germany after the war. For him these terms were non-negotiable but he was willing to allow free elections in Poland. This pleased Churchill but it would soon become clear that Stalin wasn't going honor that promise either. When the German question came to discussion the conference attendees agreed to divide it, as well as the city of Berlin into three parts, one for each of the Allies. Roosevelt and Churchill wanted to create a fourth zone for France, but Stalin argue that he would agree to it, if the territory for it would be taken from British and American zones. After that issue had been settled they agreed that Germany would have to be demilitarized and de-nazified. 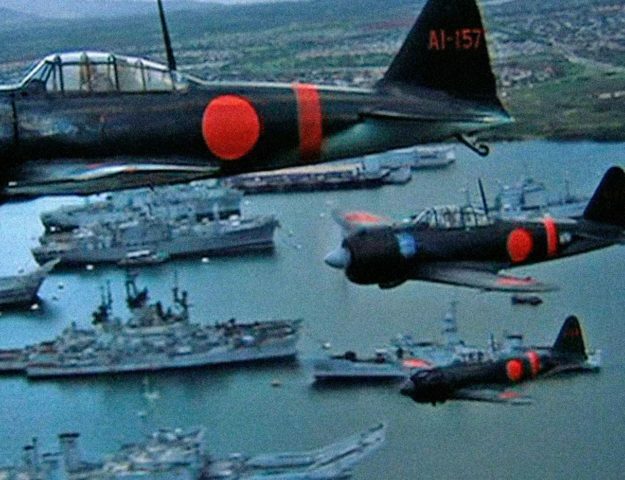 Roosevelt pressed the issue of Japan and Stalin promised him that he would enter the war with Japan 90 days after Germany was defeated. In return for this, Stalin wanted American recognition of an independent Mongolia from Nationalist China. Roosevelt reluctantly agreed to this and hoped that the USSR would join the United Nations and that he could deal with Stalin that way. Once this was settled it was decided that in Europe prewar governments would be returned to the countries once they're liberated. Exceptions to this rule were France, Romania and Bulgaria. France was the exception because it's government had collaborated with Nazi Germany, Bulgaria and Romania on the other hand had their governments dismantled by the USSR. 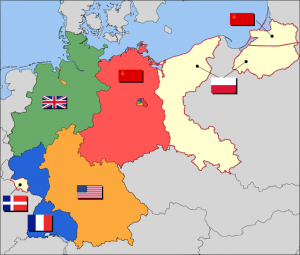 The eventual partition of Germany into Allied Occupation Zones. 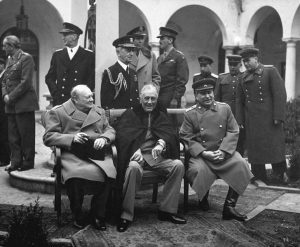 The Yalta Conference ended on February 11 and the Big Three left Yalta satisfied with the agreements made. They were satisfied for the time being that is, when Roosevelt died in April 1945 the relations between the West and the USSR became more tense. Stalin soon broke his promises about Eastern Europe and many blamed Roosevelt for leaving the fate of Eastern Europe in Soviet hands. Despite Roosevelt's success in securing some concessions at the Yalta Conference, many argue that it was Roosevelt's failure to argue the issue of Eastern Europe better which lead to the Soviet expansion into Eastern Europe and northeast Asia. The Big Three would meet again, this time Roosevelt would be replaced by Harry S. Truman and Churchill by Clement Attlee. 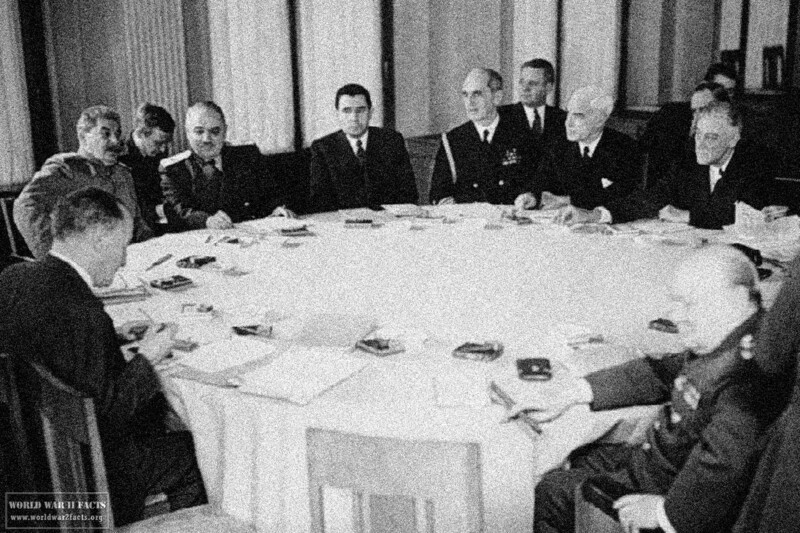 In this meeting, the Potsdam Conference, Stalin took advantage of the new representatives of the U.S. and Great Britain and ratified the decisions of the Yalta Conference altogether.